Kaye youths wide posture control walker places the support behind the user, requiring the person to adapt to a more upright posture while placing his/her center of mass within the base of support of the walker. Wide Walker is wider/deeper version of larger standard posture control walker. 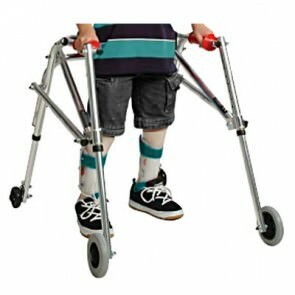 Wide walker is designed for users who wear leg braces and, as a result, need more room inside the walker. 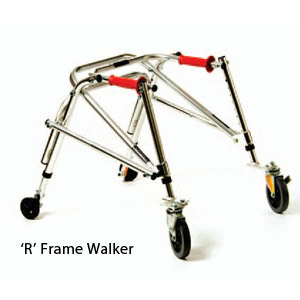 Youth walker improves alignment and enhances quality of stepping and walking, as well as energy consumption. 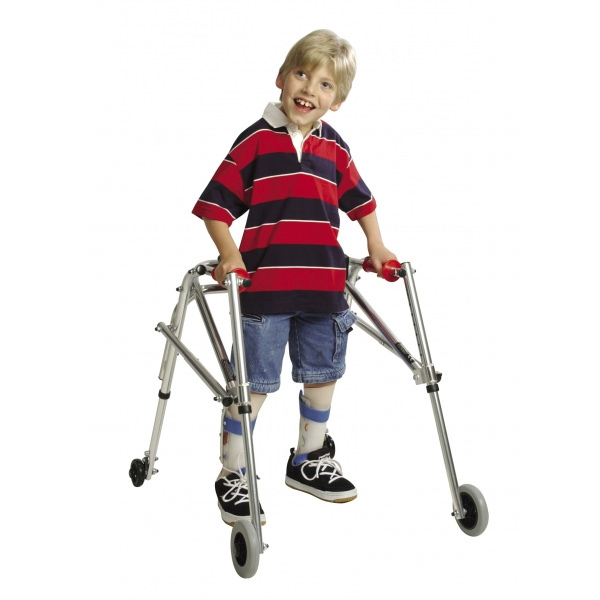 Wide walker encourages your child to remain upright due to the placement of the support behind the child. Distance inside handles - depth 10½"
Distance inside handles - width 15½"